The basketball star and patriarch of Team Kramer shares the ordeal he went through after suffering a stroke. 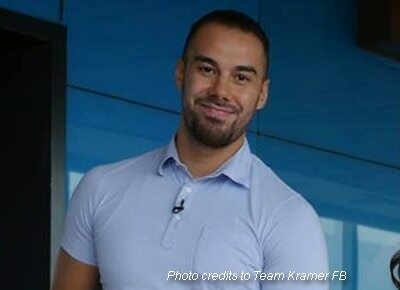 PBA basketball player Doug Kramer shared on the Team Kramer Facebook page how he was able to survive a stroke which was caused by a congenital heart illness he had when he was young. According to Doug’s post, he suffered a mild stroke last October 10, which affected his sense of balance. Although he did not pass out, he was immediately rushed to the hospital where eventually the doctors found a small hole in his heart caused a clot which led to his stroke. “Been wanting to open up about it. And finally I can. Yes, Oct 10 I had a mild stroke after doing an exercise at home. I felt extreme dizziness and lost my balance. I never passed out or fainted. In fact, I remember everything that happened clearly. I was confined in the hospital for 6 days. “After the results of the MRI were found, the cause of the mild stroke was the priority. I was thinking how could a healthy guy like me go through something like this at such an early age. After an important 2D ECHO checkup of the heart and a Transesophageal Echocardiogram, they did find a miniscule congenital (was born with it) hole in my heart and doctors concluded that it was the cause of the clot,” Doug related. The sports star then underwent a procedure and is advised by his doctors to rest for 3-6 months. He admitted that his immediate concern was his family since his children Kendra, Scarlett and Gavin are all still very young. “When all of this happened, I really thought of my family. How Chesca had to take care of me, and thinking Kendra, Scarlett and Gavin are still so young. I'm so blessed that through modern technology and great doctors, I'm able to still play in the right time and most importantly to still enjoy every moment with my beautiful family,” he said. Although the operation was a success, Doug continues to ask for prayers for his complete recovery. He also advised athletes like him to go to mandatory medical check-ups and have their hearts checked to prevent complications like his. “I'm still not out of the woods, because I still need to properly heal for the tissue to heal over my device in my heart. So please keep me in your prayers. But.... as you can see through all my posts and updates, that I'm ok! Very ok! In fact, if I hadn't opened up about it, you'd probably think nothing happened. Doctors have said I've improved very fast and that I should expect the very best results,” he stated.